After LG, it’s HTC next in the line that is launching its flagship smartphone for 2018 this month. The HTC U12 Plus is in the news for quite some time, and today, HTC decided to reveal the official launch date finally. It is not officially confirmed that the phone is going to be called ‘U12 Plus’, but a lot of sources have suggested the same. Talking about the launch date, the phone is launching on May 23. 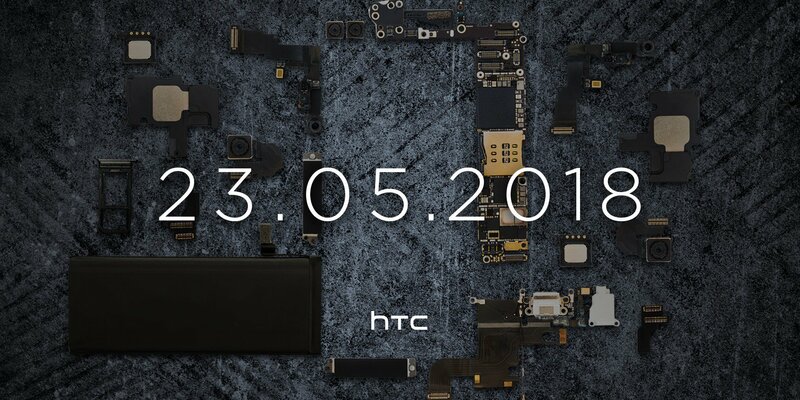 HTC revealed the launch date in a pretty unique way as we can see the internal components of the phone in the image above. If you notice, the image confirms that there are four camera lenses in total. In the image above, the two lenses present on the top are the for the front camera while the two lenses for the rear camera setup are placed on the left and right side. The image also shows the SIM card tray on the left which suggests that the HTC U12 Plus has a microSD card slot, but it is a hybrid SIM tray which means the users won’t be able to use two SIM card and a microSD card at the same time. We can notice the USB Type-C port, but there is no headphone jack in the image which again confirms the previous leaks that suggested no 3.5mm headphone jack on the U12 Plus. Well, that’s what this image reveals. Talking about the other specifications of HTC U12 Plus, it has a Quad-HD+ 18:9 display (without a notch), Snapdragon 845 Processor, 6GB RAM, 64/128GB ROM and a 3,420mAh battery under the hood. Are you excited about the upcoming HTC smartphone? Do let us know via the comments section.